RICHARDSON, TX - June 18, 2008 - The Hive Group announces the newest release of its flagship product, Honeycomb, the enterprise visualization suite that provides a consolidated, powerful way to look at complex information. The new Honeycomb 5.2 more fully embeds into business processes, empowering users to create unique treemaps, present focused information, investigate and analyze target performance areas, and resolve problems. “Honeycomb 5.2 gives customers unprecedented flexibility in how performance metrics are accessed and viewed—revealing critical outliers and patterns, and enabling immediate action,” said Jim Bartoo, CEO of The Hive Group. Honeycomb’s breadth of functionality ranges from basic treemaps and workspace treemaps to collaborative treemaps and extranets—allowing organizations to analyze and share performance data both internally and externally. Honeycomb is deployed in a broad range of contexts in both the private and public sectors—with deployments spanning manufacturing & logistics to financial services to military applications. “The latest advancements in Honeycomb Studio 5.2 allow ESRI the flexibility and control needed to embed, deploy and deliver advanced analytics throughout our organization. The software integrates seamlessly with our internal applications and enables rapid detection and resolution of critical performance issues,” said Lee Johnston, Manager of Sales Analytics at ESRI. 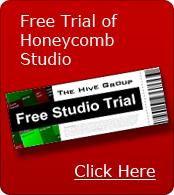 Included in the Honeycomb 5.2 release are two development environments: Honeycomb Studio 5.2, a user-friendly, managed environment for deploying and maintaining treemap implementations, and Honeycomb Rich Client 5.2, a development kit for more in-depth customizations. For even more detailed customizations, Studio 5.2 treemap views can be exported to the Rich Client 5.2 environment and embedded in corporate applications. Additionally, links to Studio-managed treemap views can be embedded and seamlessly delivered in non-Studio applications. Using Central Authentication Service (CAS) protocol to authenticate users, Honeycomb 5.2 may be deployed in single sign-on environments, allowing customers to log into their portal once for access to multiple applications. Honeycomb 5.2 also offers enhanced security protocols and more direct access to data objects for designers. In addition, new property file service serves content from the Studio server directly into the customer’s portal.